There would have been a few wet seats last Thursday after the premiere of J.J. Abram’s Star Wars: The Force Awakens. 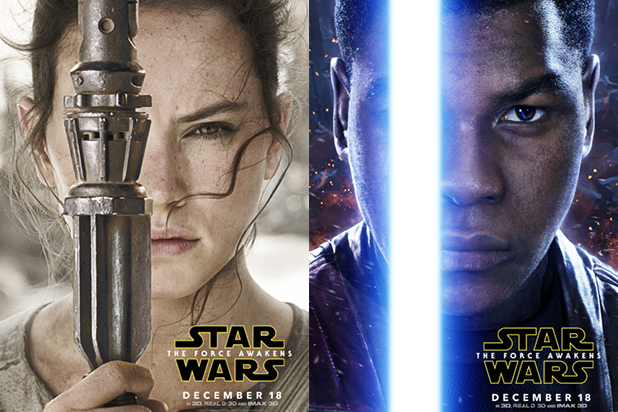 Having waited what seems like an eternity for another good Star Wars film, the nerds have finally got their wish. Set 30 years after the events of Return of the Jedi, the gang are back, with some fresh faces added into the mix. I’ll admit I only watched the first six Star Wars films in the last couple of months, because NO WAY was I going to miss out on the hype for the most highly anticipated film release in my lifetime. I wouldn’t call myself a convert – I appreciated the original films for how ground-breaking they would have been back in the 70s, and I realised what a legend Han Solo was. But I didn’t particularly rate Mark Hamill, and I zoned out every time the rebels discussed their plan of attack. And then came the prequels – I know it’s not cool to say this, but I didn’t care much either way about Jar Jar Binks, and I actually thought young Anakin Skywalker was ADORABLE. But then he turned into Hayden Christensen and became part of one of the worst displays of romance ever seen on film. I mean, THEY ROLLED DOWN A HILL! Then there was all that political crap and Zzzzzzzzzzzzzzzzzzzzzzzz. What? I don’t even know. 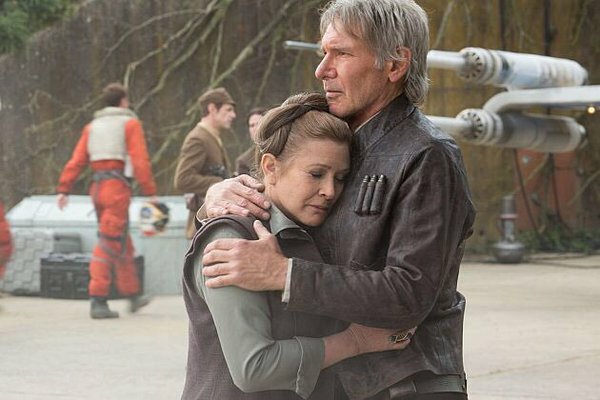 The Force Awakens is a return to the feel of the original films – real sets, plenty of laughs, and Han Solo back to kick some arse. And though this may be controversial I’d call it my favourite of the bunch. I still zoned out when they discussed their plan of attack (because Zzzzzzzzz and because I was concentrating more on Oscar Isaac’s pretty face) but for the most part I was more engaged than with any of the prior films. 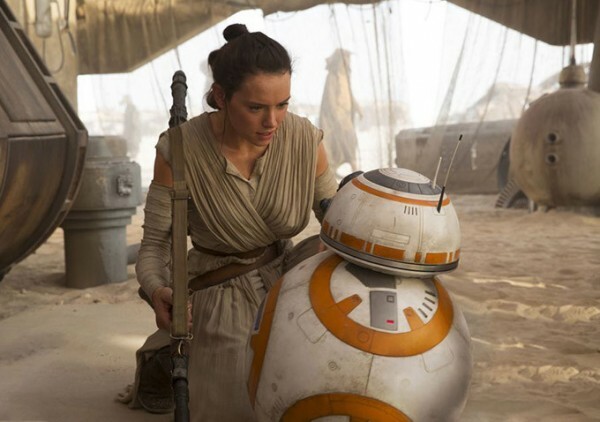 One of the most obvious indicators that this film is a 2015 release is that women have a bigger role than ever before – while there was only 63 seconds of dialogue in all of the original trilogy films combined that was spoken by a woman other than Leia, The Force Awakens actually passed the Bechdel test (two female characters speak to each other about something other than a man). Newcomer Daisy Ridley leads the pack as fresh-faced Rey, who I wasn’t completely sold on, but I did begin to warm to her as the film went on. John Boyega as Finn – a disillusioned Stormtrooper– is the highlight; he gets most of the best lines and has ripper comic timing. 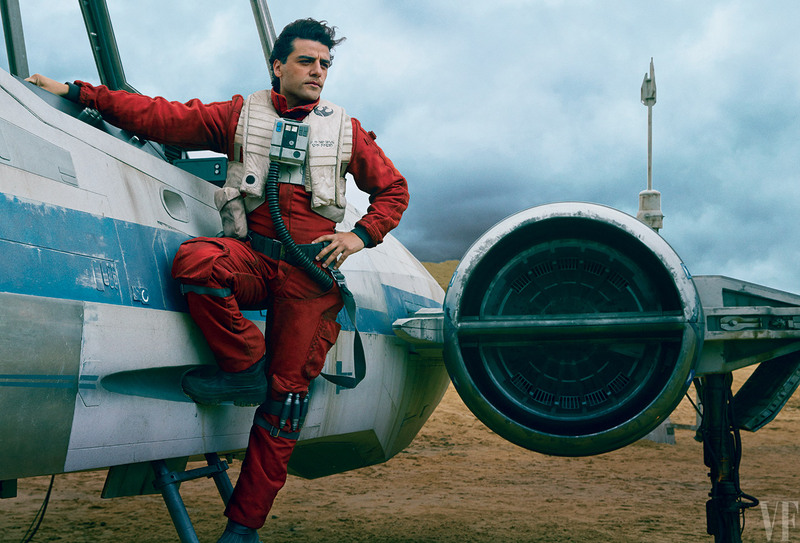 Oscar Isaac is a damn fine choice for Poe Dameron, a Resistance fighter pilot – hellooooo ladies. Adam Driver’s Kylo Ren is a more morally complex villain than ol’ Darth – he is but only a boy, but more man than Hayden Christensen will ever be. Even as someone who isn’t a mega fan, I was still excited by the return of all the original characters, and I can only imagine the fanboys’ and girls’ hearts all but bursting out of their chests in these instances. John Williams’ score will no doubt evoke nostalgia in every audience member over the age of ten; even those who have never seen a Star Wars film previously will be familiar with his masterpiece. It’s recommended that all viewers – with the possible exception of the younger ones – have seen the original trilogy at some point prior to the latest effort; even if it was twenty years ago, you’ll appreciate it more if you’re familiar with the basic back story. And better yet, you don’t need to have understood all the boring political crap of the prequels. 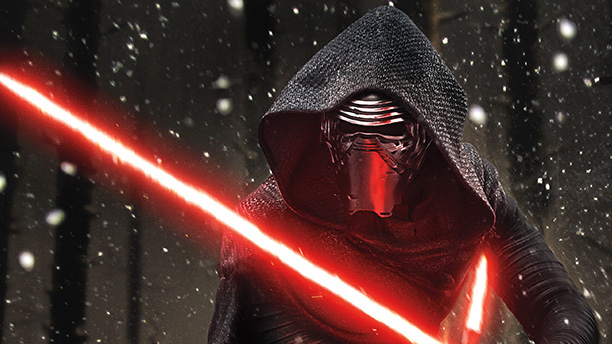 George Lucas’ limited involvement with The Force Awakens may explain why it is indeed so good. J. J. Abrams, of Lost fame, restores the heart of the originals and has created a fascinating new product for the younger generation. Rian Johnson (Looper) is set to direct the next instalment and certainly has big shoes to fill. Don’t screw it up, bud.